This is my first post on the blog in 11 days. I know this because I quietly check off another day each night before I go to bed not having written a blog post. I could say that it’s just too busy, or that I’ve been tired, or that I have nothing to say. But the truth is, I was paralyzed by fear of imperfection. I’ve always wanted to get into the practice of writing every day. But there’s always been an excuse to not show up, to put it off until later in the day. Until tomorrow. Until next week. It’s easy to use excuses as band-aids to cover up the injuries you choose to inflict upon yourself. In my case, I complain that I don’t write enough; yet, I so easily excuse myself for not writing enough. So I’ve taken a lesson from my wedding planning, and I think it’s going to help me get over this fear. 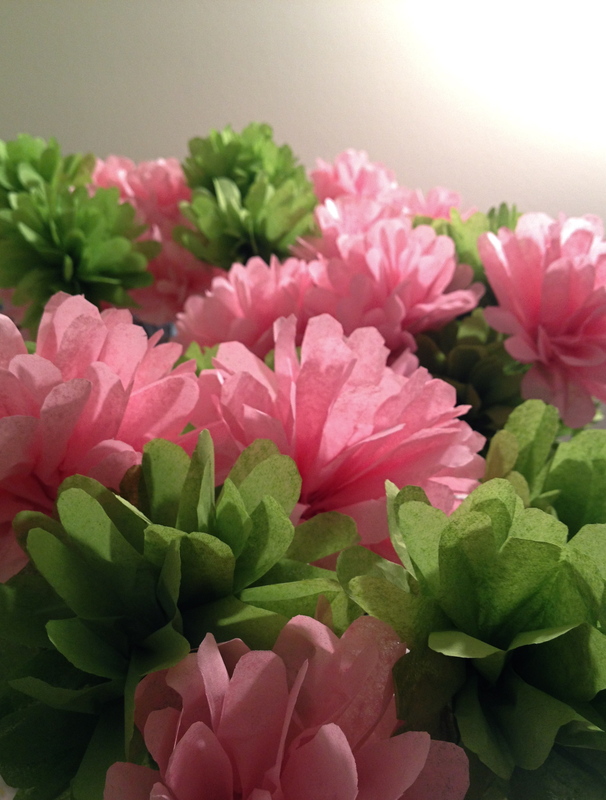 Currently, I’m working on creating hundreds – I mean literally hundreds and hundreds – of tissue paper flowers for my wedding. I realize that I won’t make the perfect flower the first time, or even the hundredth time I make one. But you can bet that by the time I’m making number 650, I’ll not only be making gorgeous flowers, but I’ll be doing it quickly and without much strain. And all of the imperfect flowers? They’ll be there, adorning walls and tables while my most perfect flowers grace the bouquets of my closest friends. What I mean to say by this is that too often our fear of imperfection slows us down to the point of complete inaction. I could wait until I perfected the flower before cranking them out for my wedding, but would all that time be worth it? I want to share my work, not throw away hundreds of “failures” before I start making the real thing. This blog is a compilation of imperfect posts. They’re not all researched and targeted to just the right niche, and they’re far from refined. So often we get caught up in the technical side of things, the numbers of shares, the views, the buzz we’ve generated. But if, at the end of the day, we haven’t said what we wanted to say, we’ve wasted our opportunity. If you have a personal blog, let go of this immense and unnecessary worry. You don’t have to be perfect before you publish.